Just recently, we got a great news from Asus Philippines that they're cutting the price of the ZenFone Go, one of their budget best sellers. From the original SRP of 5,995, it is now slightly more affordable at just 5,495 Pesos. In case you missed it, the ZenFone Go is a your capable entry level phone with good screen size and resolution at 5 inch HD display, ample 2 GB RAM for casual multitasking, 16 GB of expandable storage and loaded with a good type of 8 MP f/2.0 main camera for your point and shoot needs. Even if the price cut isn't really that big, 500 Pesos is still relevant for an affordable handset. 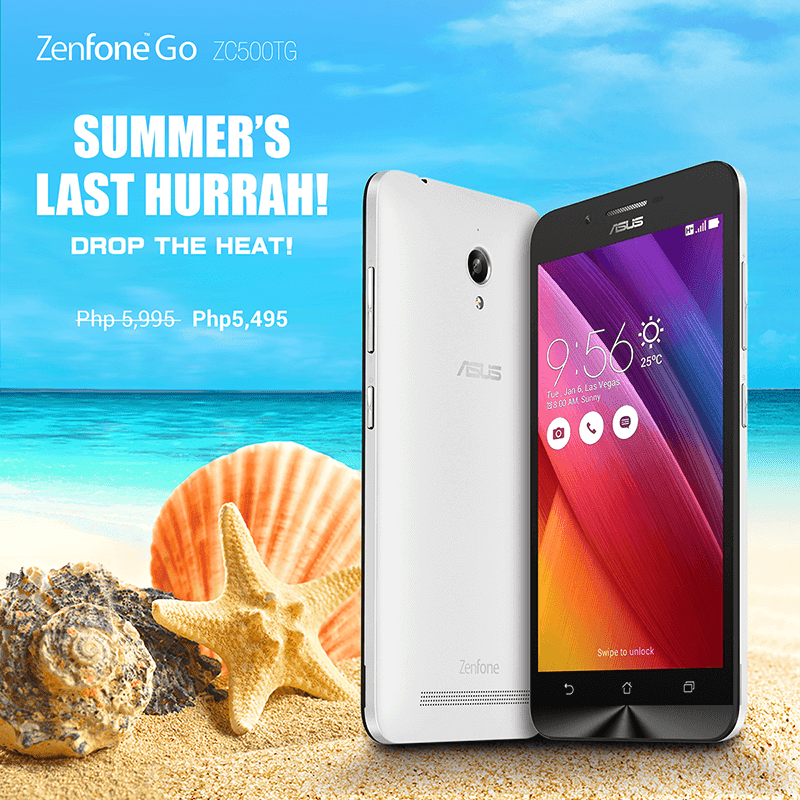 This would be good for those who wanted to have their first Asus phone.